Hmph, I'm not seeing anything, so I'll hazard a guess. And more from Sade, Enya, Melissa Manchester and who's the black chick that did Fast Car? Close only counts in horse shoes and handgranades, so those that can't see the pic I will spell it out. Good tunes. How bad is sound quality? Very Good, I was surprised on the James Brown Disk, but I did rip them to my comp to play through the squeezebox setup. 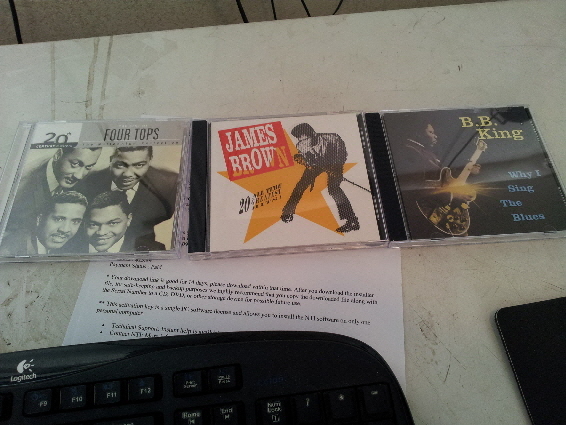 I have/had that James Brown cd. It's either packed away somewhere or someone walked off with it. I recently picked up the T.A.M.I Show dvd from 1964. James Brown goes nuts. He slides across the stage on one foot, does the cape bit that Eddie Murphy used to parody on SNL, etc. Several groups/artists give great performances on the show.